Like a breath of springtime air, the Maria for Demi MICHE bags brings new freshness to your wardrobe. 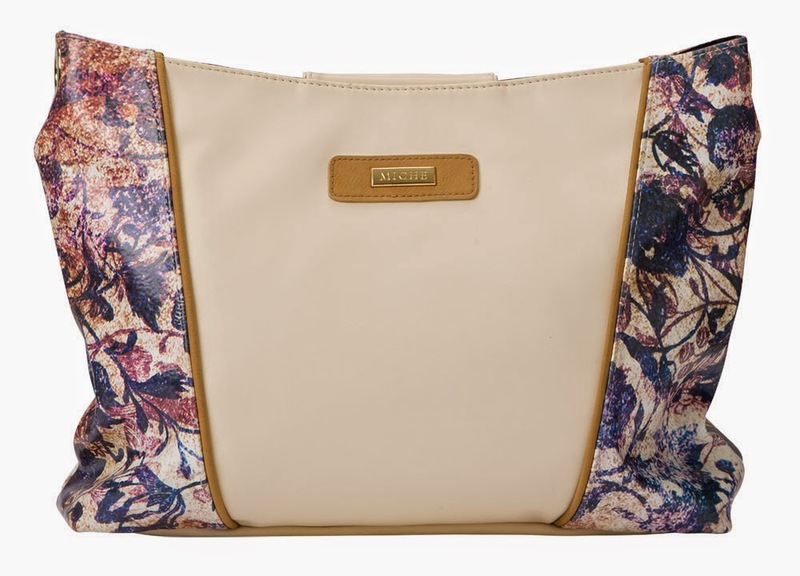 Soft cream faux leather combines with a custom abstract floral print accent in shades of purple, blue, sage green and burgundy red. The look is tied together with contrasting piping in warm camel. Gold hardware; back slip pocket.